Alex earned her B.Sc. in Earth Sciences with a specialization in geology from the University of Waterloo in 2016. Through her undergrad program, Alex completed several internships with natural gas producers based in Calgary, focusing on source rock analysis of black shales in northeastern BC. She completed her honours thesis with industry support to characterize the source potential of the Doig Phosphate ofNEBC, and coupled organic geochemistry and mineralogy to identify changing redox conditions during its deposition. 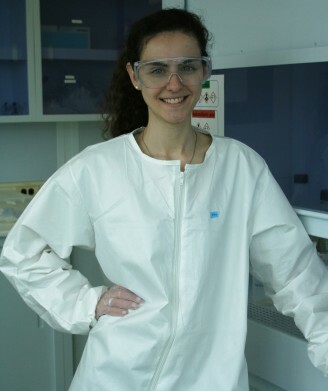 During this project, Alex discovered her passion for sedimentary geochemistry and paleoenvironmental reconstruction. This interest rolled into a continued industry collaboration to complete an M.Sc. thesis project using redox-sensitive trace metal geochemical analysis to determine the paleoredox history of the Early Jurassic Gordondale Member. Alex is supervised by Dr. Brian Kendall, who runs the Metal Isotope Geochemistry Lab at the University of Waterloo. The Jurassic Gordondale Member is one of northeastern British Columbia’s richest hydrocarbon source rocks, but production from this unit is limited due to poor constraint of depositional facies and paleoenvironmental conditions. To tackle these issues, this project is looking at a 46 meter core covering the entirety of the Gordondale Member near Fort St. John. We will use redox-sensitive trace metal proxies including molybdenum (Mo), uranium (U), rhenium (Re), vanadium, zinc and iron, coupled with a suite of organic geochemical parameters including total organic carbon and carbon isotopes to complete a paleoenvironmental reconstruction of the Gordondale Member. Elemental concentrations of these trace metal proxies give insight into the chemical and physical conditions during the unit’s deposition, such as bottom-water oxygen content and the extent of basin restriction from open ocean circulation.Additionally, if the basin was not fully restricted, we can use new mass balance models for Mo, U and Re to estimate the global areal extent of anoxia/euxinia (anoxic+sulfidic conditions) through the Early Jurassic. Inorganic geochemistry is being conducted in a state-of-the-art clean lab facility, with analysis using inductively coupled plasma mass spectrometry (ICP-MS) to determine elemental concentrations of over 50 major, minor and trace elements. With this research, we aim to resolve questions surrounding changes in paleoredox and paleohydrographic conditions which have implications for paleoclimate and paleoproductivity — leading us to infer intervals with the highest hydrocarbon production potential.